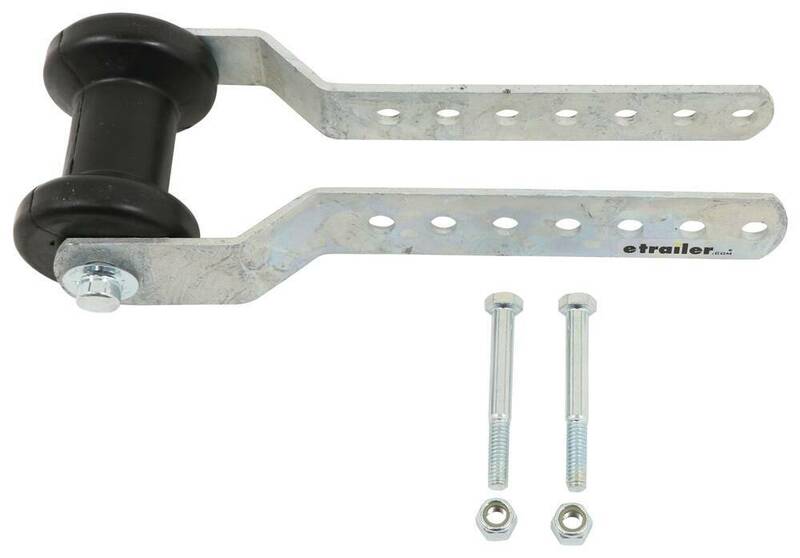 This roller assembly attaches to your 2" wide trailer tongue and supports your boat's keel for easy loading and safe transport on your trailer. It features a 4" rubber spool roller, galvanized steel brackets and all mounting hardware. Call 800-298-8924 to order CE Smith boat trailer parts part number CE32005G or order online at etrailer.com. Free expert support on all CE Smith products. Guaranteed Lowest Price and Fastest Shipping for CE Smith Keel Roller Assembly for 2" Wide Trailer Tongues - Galvanized Steel and Black Rubber. Boat Trailer Parts reviews from real customers. 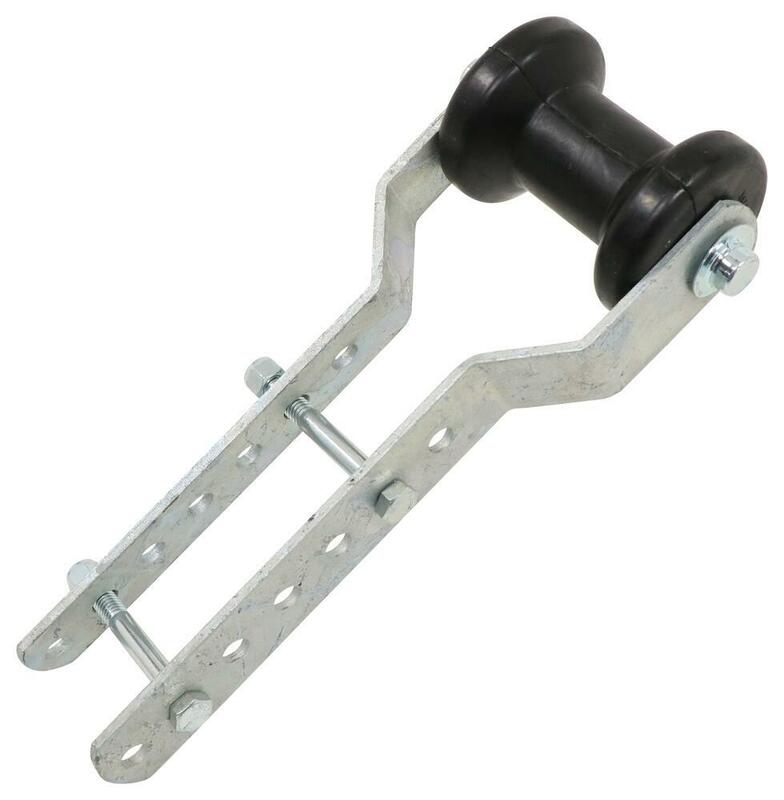 These mounting brackets sandwich around the trailer's tongue and attach with included 3/8" diameter bolts. 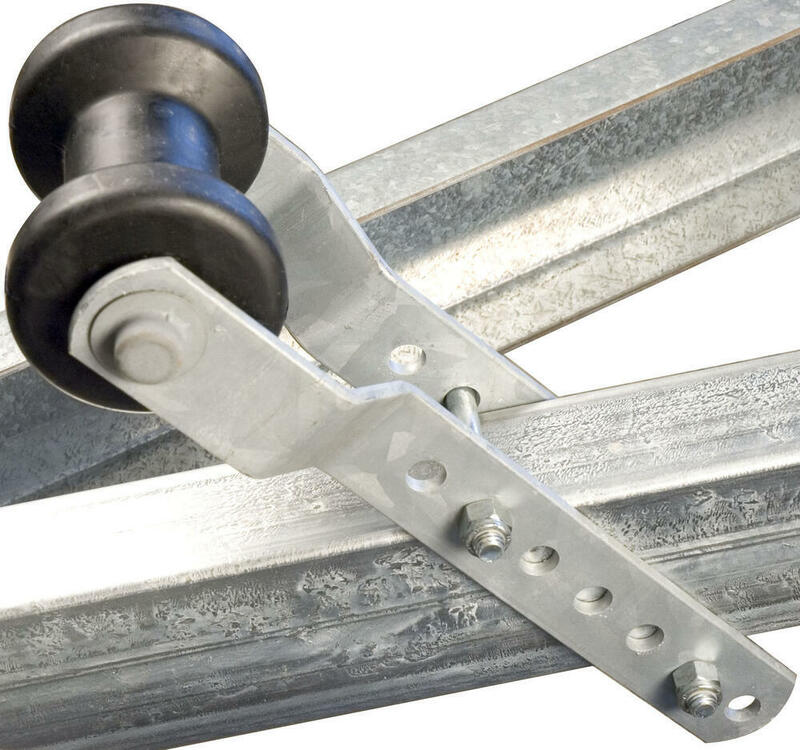 Multiple holes in the brackets make it easy to adapt to the different heights of trailer frames and also ensure that the roller will be mounted at the proper position. 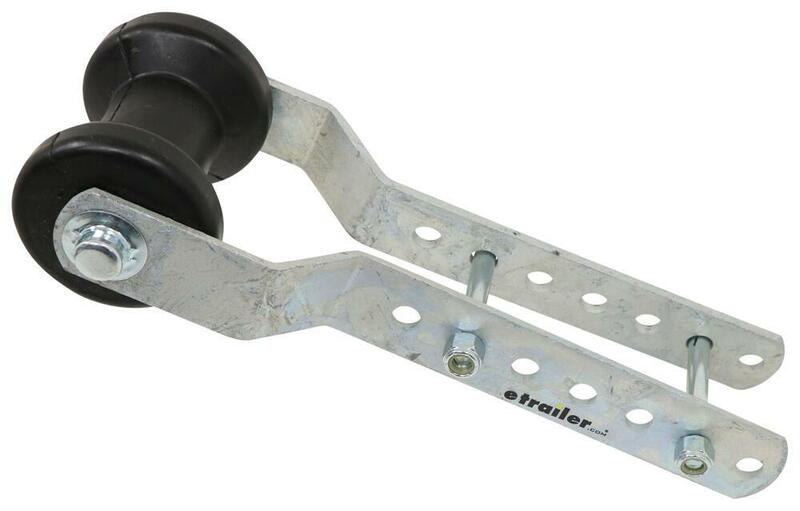 The 4" rubber spool roller helps to support your boat's keel during trailering. 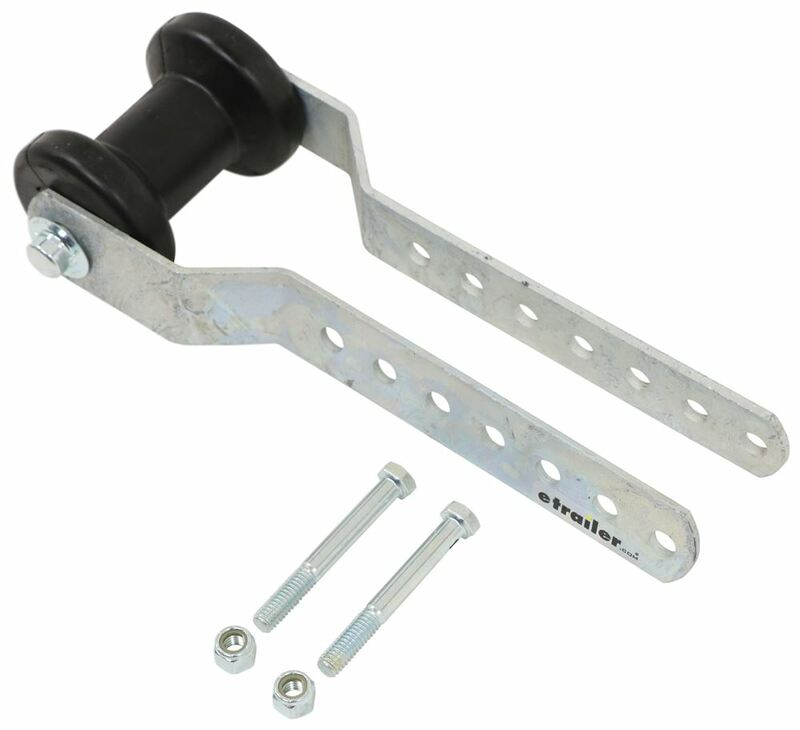 Order: RelevanceNewestRating - High to LowRating - Low to High This roller assembly attaches to your 2" wide trailer tongue and supports your boat's keel for easy loading and safe transport on your trailer. It features a 4" rubber spool roller, galvanized steel brackets and all mounting hardware. Quality product works as claimed. The CE Smith Keel Roller Assembly # CE32005G that you referenced is designed with several installation holes in the brackets so that various angles and heights can be used for installation. Check out the review video I attached for more info.